Currently browsing articles with a topic of "redfish". I may have found the best fishing spot in the Chesapeake Bay. I discovered it completely by accident a few years ago. I was zig-zagging across some ledges in the Mid-Bay when I saw something on my fish finder that looked like a miniature underwater forest. My first thought was that I was seeing small tree trunks or the remains of fence posts coming up from the bottom. Then I thought maybe I was seeing a shipwreck, but the more I explored the area, the more it became apparent that my sonar was pinging over more natural structure. I was seeing the sonar returns of oysters, and lots of them. When oysters are left to grow, they form highly complex and irregular reefs. This is a result of the natural reproduction process by which larvae is set onto existing shells. These new shells clump together with older ones, and grow upward toward the surface. When the reefs go unharvested, they grow into mounds or plumes. When they’re left alone for a long time, the mounds can reach the surface of the water and be visible at low tides. In regions where oysters are plentiful, they call these mounds “oyster rocks.” That’s a term you don’t hear too much in Maryland because there aren’t any oyster rocks left. Read More! If you’ve noticed that I haven’t been blogging as frequently, you’re right. I’m still getting my time in fishing, but I’m also concentrating on some new projects including a new video channel on YouTube. I believe internet-based TV is the wave of the future. I can’t remember the last time I sat down and watched an hour-long TV show. On the other hand, I look at videos on social media sites every day. I’m having a great time producing short flix that I hope will provide another avenue to illustrate my fishing trips and techniques. I’ve recently hooked up with the crew at The Hooked Up Network. Hooked Up is YouTube’s first ever network that is solely dedicated to fishing. They’re helping me promote my videos. I currently have over a quarter of a million views and I’m hoping to reach a million by this time next year. 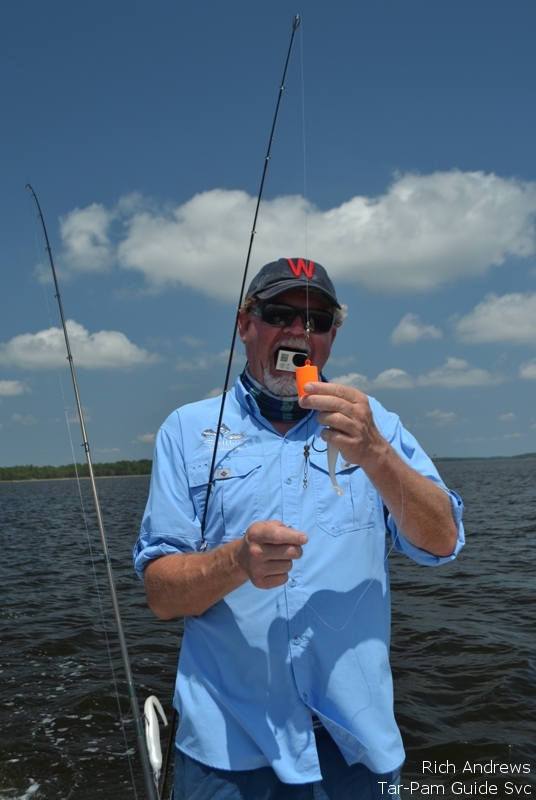 This week, I’ve turned out a couple of clips including a “How-To” segment about smoking bluefish, and a report on a recent roadtrip to North Carolina where we caught some truly giant redfish on artificial lures using popping corks. I’ll still be blogging and posting fishing reports here on ChesapeakeLightTackle.com, but to get the first look at my video reports as soon as they go live, subscribe to www.youtube.com/user/Trailzzone (Trailzzone is the name of my publishing company.) You might also want to check out some of the other videos on The Hooked Up Network. There’s new material going up daily. It’s all absolutely free and I’ll do my best to keep the content fresh and interesting. As always, I’ll include some environmental and conservation tips from time to time. You’ve heard me say, a picture saves a thousand fish. Well, maybe with video, we can make it a million! Bad news and more bad news. If you’re following the politics around striped bass management, you know it’s all bad news for the fish lately. Where are the rockfish in the Chesapeake Bay? It doesn’t take an expert to realize that almost every fishing boat from Solomons Island to Rock Hall is working one primary school of stripers. To quote conservation blogger John McMurray, “it’s not where the fish are, it’s where they aren’t,” and apparently they aren’t anywhere except near the mouth of Eastern Bay. Despite the demise of our state fish, things are looking up for another native Chesapeake species, the red drum. 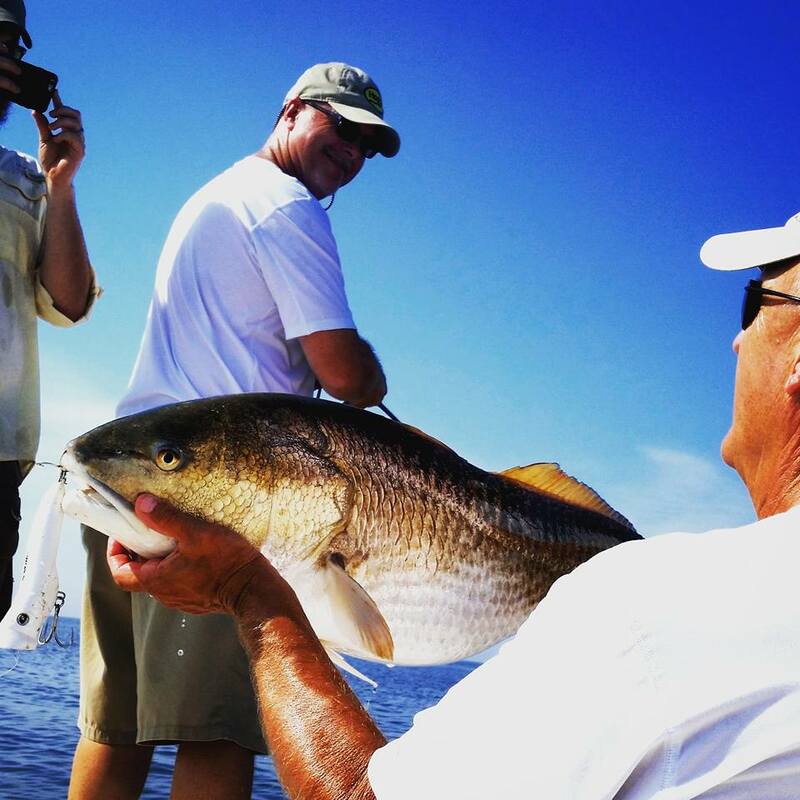 You probably haven’t heard much about catching redfish in Maryland over the past decade, but that’s all changing. 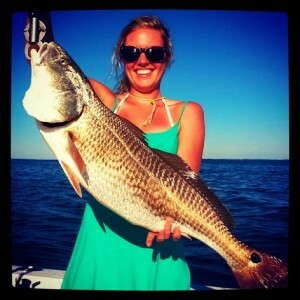 Last summer there were reports of redfish as far north as the Gunpowder River in the Upper Bay. 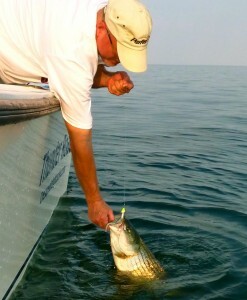 I started targeting them around Kent Island last August, and I’m already catching them again this year. Thanks to good management practices – especially by states to our south – and an overall warming trend along the Atlantic Coast, red drum are expanding their range. 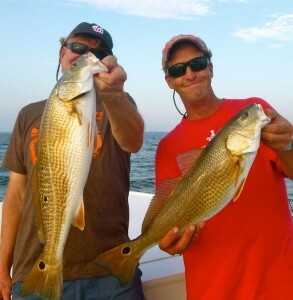 That’s good news for Chesapeake light tackle fishermen because redfish will readily attack a jig or a topwater plug. Even if you’ve never targeted redfish before, chances are you already know how to catch them. 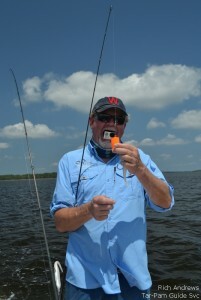 Almost all the artificial lure techniques we’re currently using for stripers will work for redfish. As stripers continue to decline, redfish are moving into their habitat and populating the underwater humps and ledges where stripers used to feed. Read More! 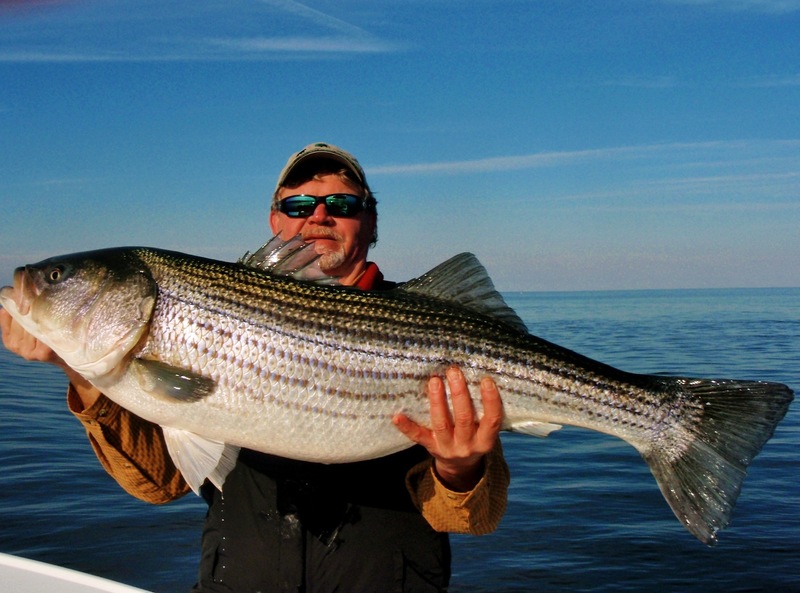 You’ve probably heard by now that the bottom is dropping out of striper fishing. The latest Atlantic States Fisheries Commission (ASMFC) stock assessment shows a population in decline. Don’t be fooled by the first few lines of the report when it says, “Stripers are not overfished and overfishing is not occurring.” They’ve been saying that for years while fishermen all up and down the Atlantic coast have been warning of a crash. Now we have proof. Using the current fishing mortality threshold, we have been overfishing for striped bass five out of the last eight years. If we keep catching at the rate we are now, the fishery will decline rapidly. Concerned fishermen up and down the Atlantic coast agree that harvest reductions should be implemented quickly. Check out this article from Captain John McMurray in New York. Since striped bass is a highly-sought-after species with big money involved on both the commercial and recreational sides, any reductions will be controversial. I get the sense that there may be some within the ASMFC who believe that the commercial striped bass fishing industry has already sacrificed enough. If that perception spreads, recreational fishing could take the brunt of the reductions. I won’t flesh out the arguments pro and con here, but suffice it to say that I believe cuts are overdue and necessary and should be equal across both sectors. Commercial fishing aside, disagreements are sure to follow within the recreational community. 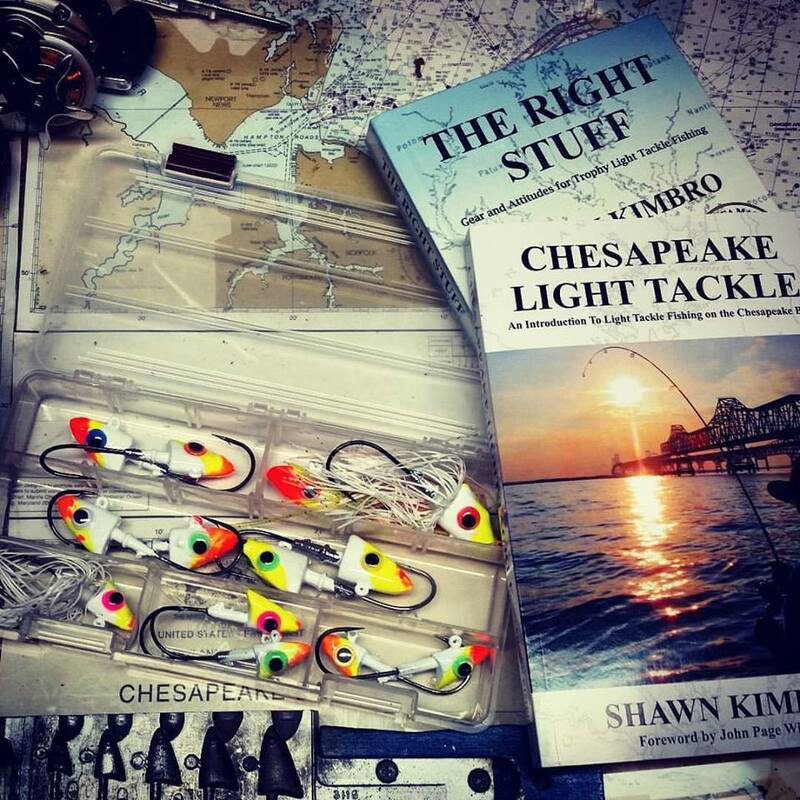 They will be especially apparent here in the Chesapeake Bay, where the charter boat industry and some fishing clubs rely heavily on fishing revenues from spawning-class stripers during times of the year when they are easiest to catch. It’s sure to get interesting, and I expect blood letting on all sides. Read More!